Nicolas Flamel, alchemist or philanthropist? 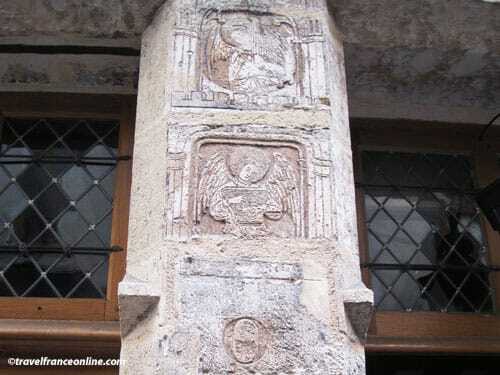 Nicolas Flamel House was once known as “La Maison au Grand Pignon” because of its long gone gable. 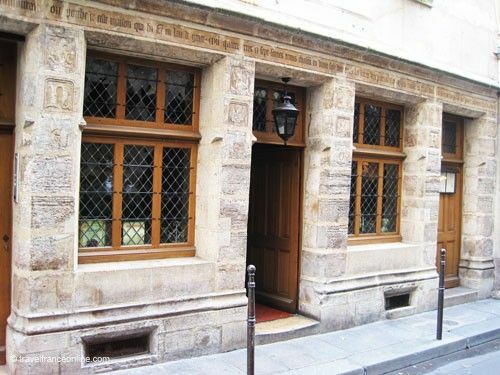 It was built in 1407 and is the oldest house known to date in Paris. Nicolas Flamel was a rich bourgeois of Paris. He and his wife Pernelle built the house on the then deserted land that stretched between the old rampart of King Philippe-Auguste and the newly erected rampart of Charles V.
Nicolas Flamel was born around 1330 or 1340 in Pontoise in the north of Paris. He moved to the capital, where he had a successful career as a copyist, writer and bookseller juror. Booksellers jurors took the oath and became clerics non accountable to the Provost of the Merchants and were exempted from paying taxes! Flamel was therefore able to amass a considerable fortune, fortune that expanded even more after he married Pernelle, a rich widow. He also owned several properties in Paris and the surrounding villages. These generated comfortable additional income! However, this unusual wealth intrigued many people of the time. It even gave rise to a legend. People indeed believed that Flamel was an alchemist who discovered the secret of the philosopher's stone, the secret to transform metal into gold! Such was his notoriety that many books were written about him after his death. The couple had no children, and after the death of Pernelle, Nicolas devoted a huge chunk of his fortune to help the poor. He therefore founded many religious institutions, redecorated churches and cemeteries and built almshouses. The house in Rue de Montmorency was one of these almshouses (he never lived there)! Flamel let out the ground floor shop. He, however, kept the upper floors in order to accommodate the laborers and gardeners who worked in the vegetable gardens located between the two ramparts. They could enjoy free accommodation, on the condition they said the daily prayers for the Dead. 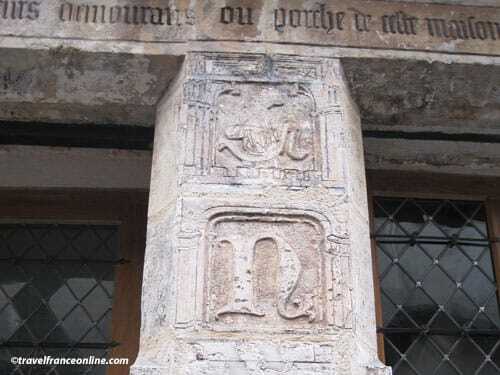 Nicolas Flamel’s initials are engraved among these prayers. The letter N is on the second pillar and the letter F on the 5th. The house boasts also a magnificent facade engraved with sculptured angels playing music. Nicolas Flamel bequeathed the almshouse to Saint-Jacques-de-la-Boucherie Church, where he was later buried. The Tour Saint-Jacques is the only surviving vestige of this church that was demolished at the Revolution. Flamel's grave was fortunately recovered and is now exhibited in the Cluny Museum. All traces of plaster that covered the facade of Nicolas Flamel House were removed during the restoration work that took place in 1900. This superb facade was listed Historical Monument in September 23, 1911.